Preparation : Dried bark ground into powder. Fruits are edible. Ingredients : Wood contain galangin, artocarpin & cycloartocarpin. Bark yields b-sitosterol, cycloartenol, a-amyrin and lupeol acetate. The heartwood contains artocarpin, norartocarpin & oxyresveratol. Ailment Treated : Ripe fruit pulp is taken in constipation and fever. 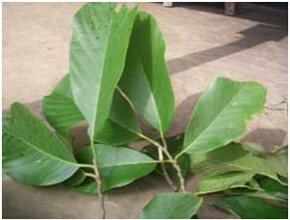 Bark powder is antiseptic and applied to pimples and cracked skin. Seeds are purgative. Source : Wildly grown in both hills and valley areas. 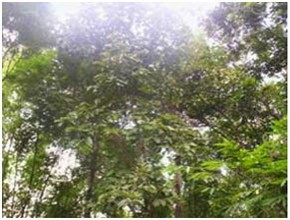 Occasionally cultivated as avenue tree.